Having a diet and exercise plan is good both for your mental and physical health. But the problem is some people don’t get to enjoy the benefits as they give up on the plans that they selected. So here are some good tips on how to stick to a diet and exercise plan. Warning: A diet and exercise plan is going to intrude in your life and change your behavior. The key here is to get the plan that can synthesize thoroughly with your lifestyle. Another key consideration is whether the plan is the right one for your health and physical condition or not. Better consult a health officer or your doctor to determine a plan that’s tailor-made for your health status and lifestyle. Step 2: Better be committed. Warning: The diet and exercise plan won’t work without you. If you’re not decided and committed to the plan, then there’s not much results that can be expected from it. The plan needs execution, and the one to do it is you. Warning: Do it slowly but surely. Warning: You can’t have a washboard abs or lose 20 pounds in one month, so better make your goals reachable and simple. This makes it easy for your to reach your goals, and it would be better for your morale to have some form of achieved results. Step 4: Get a cheering squad. Warning: It’s better to indluge in any activity with someone cheering you on. It’s certainly helpful when you have a friend or family member supporting you in what you do and watching over you just in case you’re getting sloppy with your plan execution. One way to get this support is to get a dieting and exercise partner so that you could cheer each other on and provide support. These are some of the things that you can do to ensure that you’ll stick with your diet and exercise plan. As you may have gathered by now, the essential thing is to find the right diet and exercise plan that fits your needs and lifestyle. It’s also important to have the proper mindset and discipline to follow through the plan. The reality is, no matter how good and easy a plan is, it won’t fly if you don’t do it seriously. And if you don’t do it, you’re losing out on the health benefits set out by your exercise and diet plan. Mental Health – Maintaining a healthy lifestyle and other health-related issues. Treating Sunburn – Practices for a fit and healthy body. Shaving Your Legs – How to take good care of your body. Treating Razor Burn – On how to take care of our body. Weight Loss Guide – How to lose weight and other healthy lifestyle activities. Exercise and Diet – Ways to get a healthier and sexier body. Weight Loss – All about diet and fitness and other health related topics. Exercise as pleasure – All about how to make exercise a pleasurable activity. Being on diet and sticking to it is probably one of the hardest thing to do. One of the reasons why it is difficult is because we tend to see it as “work” and therefore requires effort. First and foremost we should have a different mindset when we formulate our diet and exercise plan. For the diet plan it would be helpful if we not deprive ourselves with food rather eat what we want in small portions. For the exercise plan we should do something that we enjoy like walking the dog around the neighborhood or playing basketball with friends or skateboarding. We should set realistic goals so that we wil not be disappointed. Because of the fast-food chains and fat-inducing food available in the market nowadays, many people, including myself, find it hard to stick to a diet and exercise plan. But one thing that I’ve found that really helps is the fact that I weight myself each and everyday, not every hour though because that may be sign of a mental disease. Doing this make me more conscious of what I eat, resulting into a stricter mindset for me. This does not only benefit me as well, because studies have proven that people who weight themselves atleast four times a week are more likely to lose weight than those who do not weight themselves in a month. It also helps to speed up your metabolism by eating 6 meals a day, with two-three hours interval, these meals should consist of nutrient-rich food not bigger than your fist. In my entire life I never had a successful exercise plan, only successful diet plans. I had tried two diet plans. First was the after-6PM habit. Obviously, I was not allowed to eat after 6:00PM. So, I had to eat everything that I want before that time. But of course, I was still cautious of what I ate then. Otherwise, the above stated plan would have been disastrous also. Second was the “no carbo” for dinner diet. I only ate mostly fruits and vegetables at that time. I needed to stick to these diet plans before to slim down my waistline. Trust me, they work pretty well. Motivation and self-control play an important part in sticking to one’s diet. There are a lot of diet plans, pills and programs available but without your willingness, they are all useless. When we are young, our motivation to lose weight is to look more attractive, to be able to fit in the clothes we like. Before it was not because of health reasons. But as we grow older we realize that we need to lose weight or watch what we eat to prevent certain illnesses. For most adults, having a healthy body means a longer life to spend with your family, and that is is my motivation. Also, find yourself a fitness buddy, it can be your husband, your best friend, or your boyfriend. You and your fitness buddy can help each other out in sticking with your diet plans and it also makes dieting more fun. Me myself never had become successful to any kind of diet however I was able to loose my extra pounds when I jogged for 5 mos and I stopped since then because I was transferred to the night shift and since having less time for me to work out what I did is to just cut down my food intake. I watch what I eat and I sometimes just walk just to have exercise. I resort to drinking those “coffee” slimming drinks, pills etc. 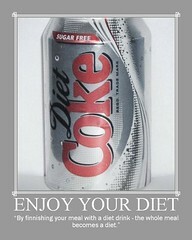 It worked for quite sometime but if you won’t maintain drinking them you’ll be fat again. I believe every one who wanted to loose weight should first always consult your doctor or nutritionist before engaging to any kind of weight loss or diet. This is because not 2 people have the same body functions, you should not easily fall for those fancy words that you’ll get thinner by 1 month. Some may have fast metabolism and can get slim easily while some has to need to put extra effort just to loose weight. Learn more about your body so you’ll know what will be the best diet program for you. Live a healthy life style and be more disciplined in what you’re doing. Dedication is the key so you may achieve the weight that you like.